After our first week studying Russia, I found even more to study the next week. There are times when the resources seem to be overwhelming, especially when you find them on the tail end of your studies. Talk about religion in Russia and what happened during Communist rule (atheism). You can read about Laurianna and McKenna's reaction to atheism on our family blog - too funny. Mission Friends - resource available from the Lutheran Church. This is the student pdf version that you can print off and use as a great resource for you teaching of Russia. 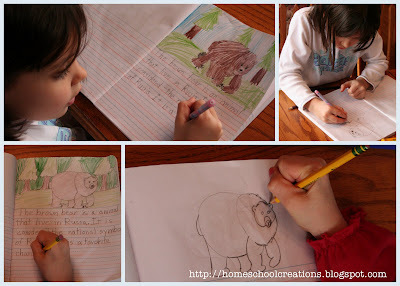 It includes the map activity that we did and a lot of wonderful information. Our kids really enjoyed this! Nutcracker on youtube - this is the first of 16 mini-videos of the Nutcracker performed at the Royal Opera House. The girls loved this! 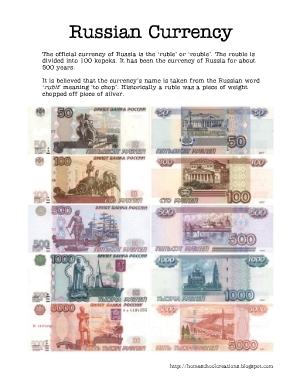 The currency notebooking sheet that I put together on the ruble: Next week we are going to be moving our studies to England/Great Britain, so stay tuned for more!